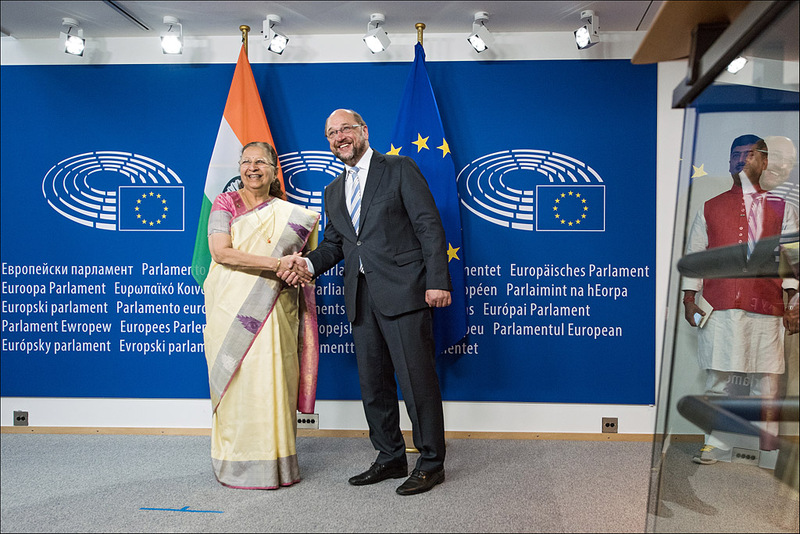 Sumitra Mahajan, speaker of the Indian Parliament's lower house, visited the European Parliament in Brussels on 23 June where she was welcomed by EP President Martin Schulz. During the meeting they discussed the possibility of an EU-India free trade agreement, human right issues, the EU-India Summit in November as well as how to improve relations between Europe and Asia. Schulz said: "I hope that this meeting contributes to establishing a stronger relationship between our two parliaments. In an ever more inter-dependent world, based on ever more intense trading relations, democratic legitimacy and dialogue should not be left by the wayside, because otherwise the relationships will be weak. Parliaments are an essential part of this legitimising factor." Click here for more news from the European Parliament.